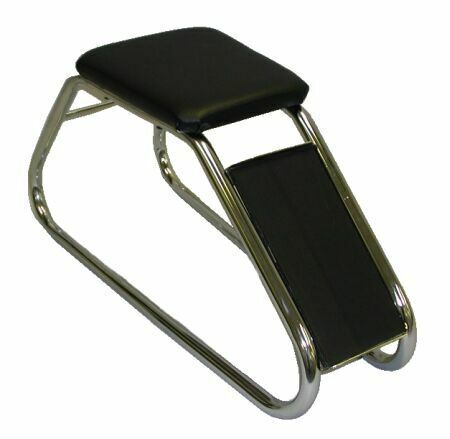 Comfortable shoe fitting stool comes with a black padded seat. Constructed of 1" heavy-duty tube. 30 ½" long, 15" tall. Weight: 12.5 lbs. Colors: chrome frame, black frame.